Is it a challenge to work out with a busy schedule? Even though you know how important exercise is, it just never happens. So many things go into living a healthy lifestyle, with exercise being near the top of the list! When fitness becomes a non-priority in your life, it makes it more difficult to get it done. Then you find yourself skipping one workout, then another and then another. You get the idea! So what can you do? Today I have 5 ways for you to get your work out done with a busy schedule. We all seem to be crunched for time these days! The reality is that taking care of you is the most important thing you can do so you can excel at the other things in your life as well as taking care of others. Many years ago, my workouts typically took about 90 minutes or more! Yikes! Who has time for that? These days, you can get anything from an intense workout to a light workout done in 30 minutes or less. When I started doing more effective workouts in less time, I actually saw better results than the hours I used to spend at the gym. Are you getting the most out of every workout. You can accomplish great gains in a short time with high intensity training. For example, if you run for 30 minutes you would get an amazing workout whereas if you were to golf for the same amount of time, you wouldn’t get much out of it. Choose fast, more efficient workouts like interval training, running, and Tabata training. Finding time to work out with a busy schedule can be solved by using your lunch break. A few years ago I was in that same situation. I found a running partner and every day, we would suit up and run during lunch. We got it done in under 30 minutes and still had time to change and eat a quick lunch! Not only did we get a great workout, but we had more productive afternoons. Have you considered your daily commute as a way to work out with a busy schedule? I have not been able to do this but I have worked with others who have. Several of my co-workers biked to work each day. He brought along a back pack with a clothes change and lunch! 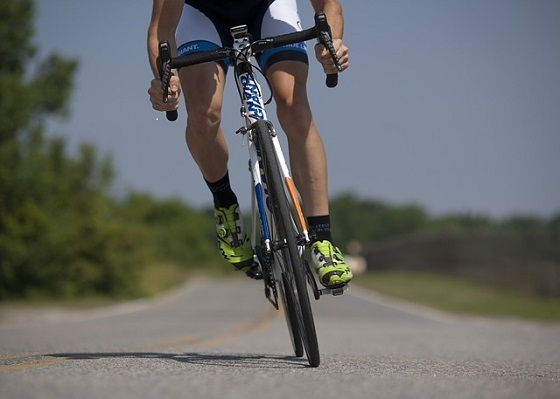 If you are within running or biking distance, it’s a great way to implement a successful workout plan. Even though I have time to work out, I love getting up early on the weekend and running around my favorite lake! Then I head over to the coffee bar for my favorite coffee and Paleo blueberry muffin. Find some friends and make it a social gathering! You’ll get an early start to your day, enjoy time with friends, and get 2 workouts in over the weekend. There are also lots of hiking or walking clubs in various areas that you can join and just have some fun while getting in some exercise. Being active should be at the top of your priority list when living a healthy lifestyle. 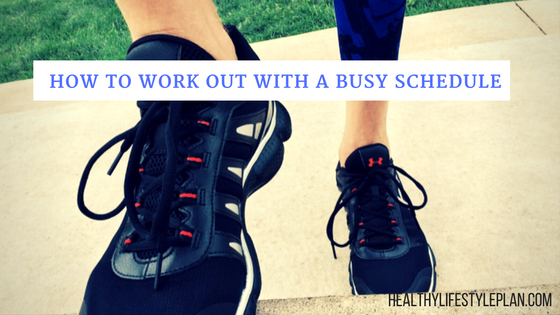 Today I gave you a few ideas on how to work out with a busy schedule. Think about how much better you will feel! 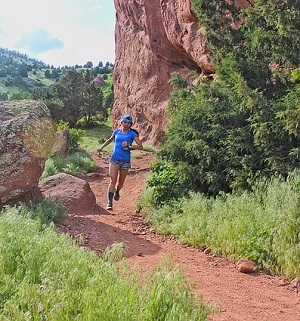 There are many choices for quick efficient workouts and ways to get it done on the weekend. Take control and know that if it’s important to you, you can find a way! What are some of your tips for workout out with a busy schedule? Let us know in the comments!